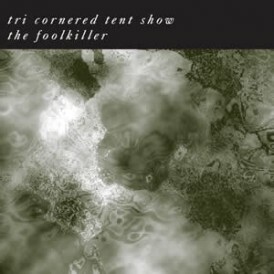 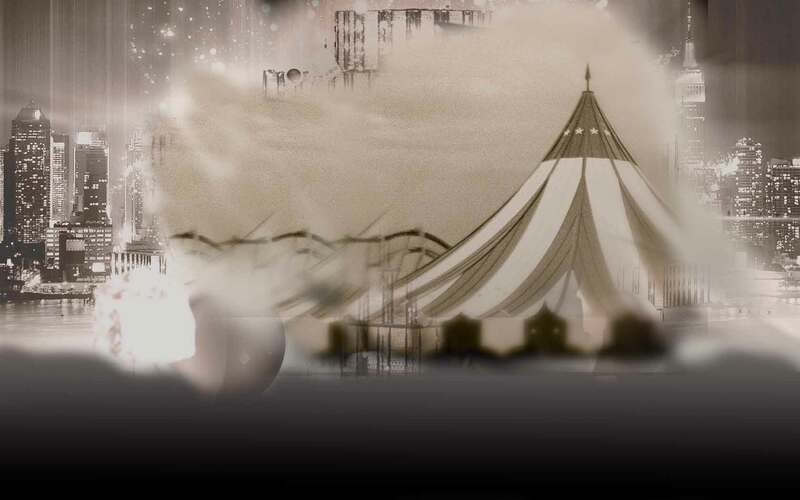 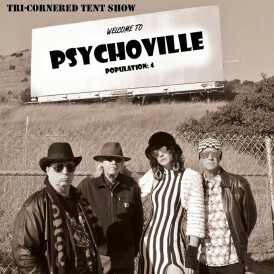 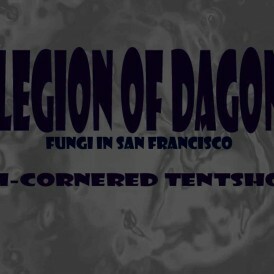 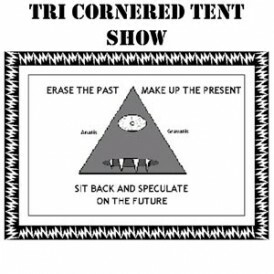 KFJC Radio (Los Altos, Ca) 3/10/14 Tri-cornered Tent Show – “Welcome to Psychoville Population: 4″ – [Edgetone Records]This unusual band has been together since the mid-70s, with visitors joining the core members. 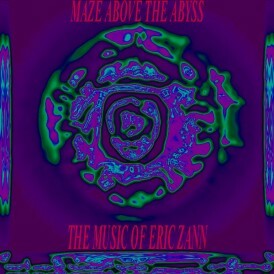 This time around it is Valentina O adding her vocals and FX to Schaeffer’s electric basses, Everett’s electric lapharp and xlarinet, and Flores’ drums. 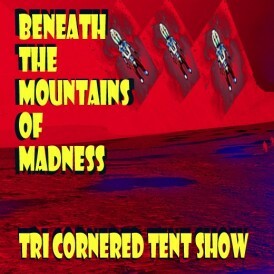 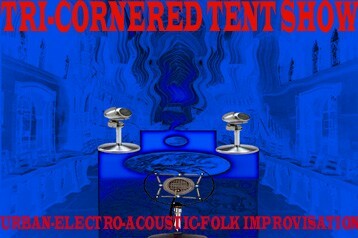 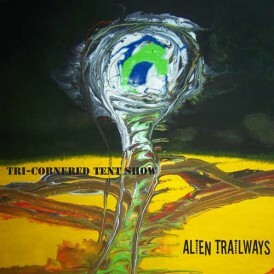 Each song is part of a concept of “an avant-psych blues freak-out presented in the form of Daliesque Cabaret involving Appalachian style murder ballads filtered through and reflecting on the many levels and degrees of musical improvisation in the 20th century.” The overall effect is supreme weirdness and eerie coolness, much as you would expect from a tent show.